I scream, you scream, we all scream for ice-cream. And yes, I do actually scream whenever I have ice cream because you know, #lactarded. But despite my body's inability to properly digest dairy products, I have such a soft spot for old-school ice cream parlors and dessert shops and Thomas Sweets is certainly no exception. 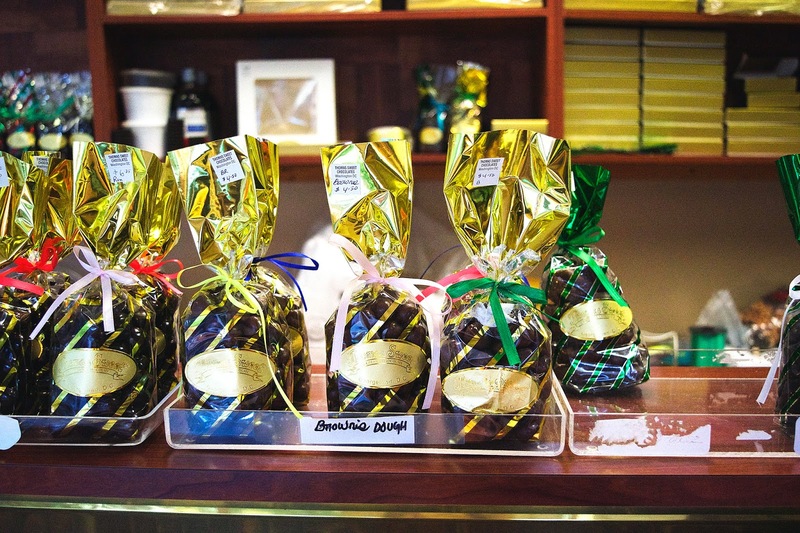 Located just a few blocks away from Georgetown's campus and opened until relatively late Thomas Sweet (fondly dubbed T. Sweet) has became a favorite dessert spot of mine. 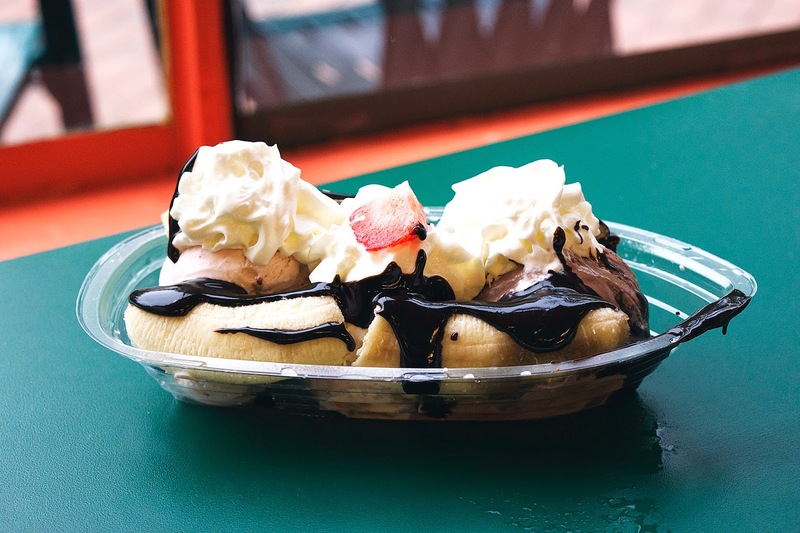 The menu is quite extensive, offering classics like banana splits and hot fudge sundaes, a large array of house-made ice-cream flavors, frozen yogurt, toppings, coffee, and old-fashion candy it's definitely any sweet lover's paradise. 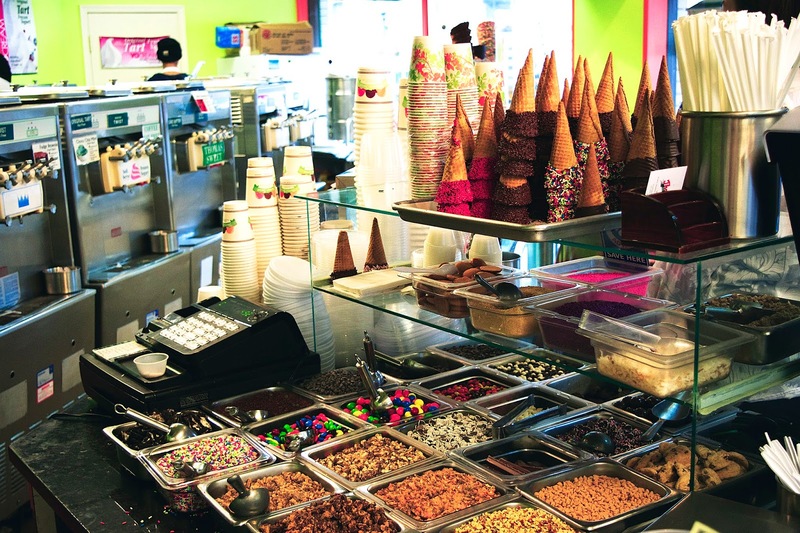 T. Sweet even offers something for your dieting friend: fat free, sugar free frozen yogurts and fudge sauce (or you can buy them by the pint-full and always have a "guilt-free" treat in the freezer). Want a cone? 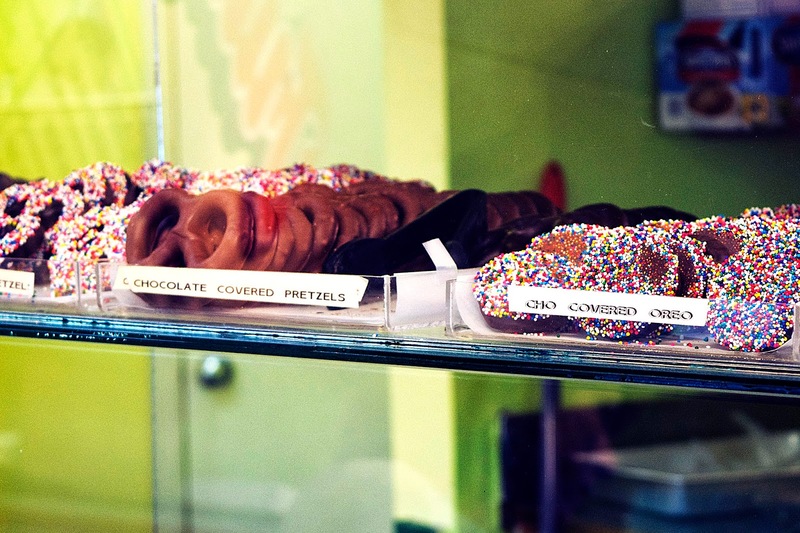 Try one of their house-dipped waffle cones. And would you look at those topping choices? It's an indecisive person's ultimate nightmare. But in a good way. 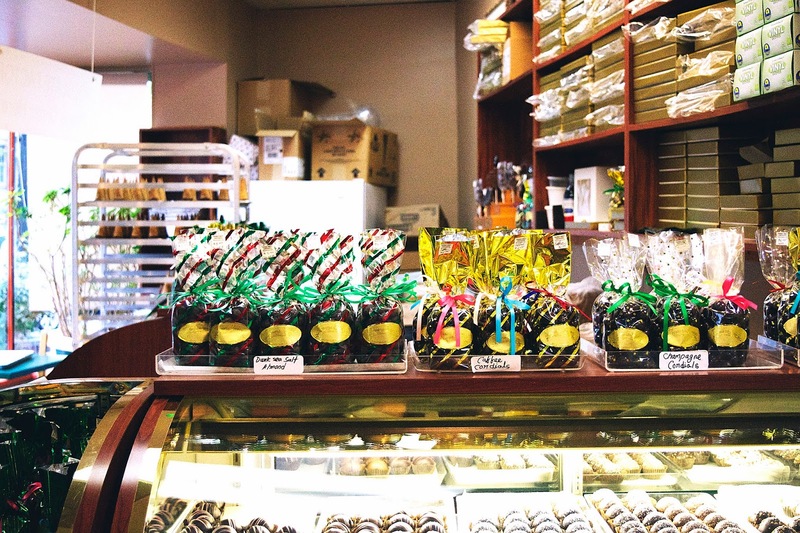 The back of the store is more of an old-fashioned candy shop offering things like homemade fudge, old fashioned candies, and chocolate covered everything. And the ice cream: creamy, rich, well flavored...yes, yes, and yes please! This isn't the air-pumped, watered down, paleo-vegan-healified-zero calorie-protein ice cream and I'm perfectly fine with that. Trust me, a good hit of cream, fat, and sugar is good for the soul. Even this lactose-intolerant soul. Hey stomach, #sorrynotsorry. You can cry about and regret the decision later.